Among the great things I learned last week in London UK at the Scaled Agile Framework (SAFe) Program Consultant training is the concept of using the Weighted Shortest Job First method of prioritization for backlog items. The concept is similar to the Relative Return On Investment (RROI) that I teach in my Certified ScrumMaster and Certified Scrum Product Owner courses, but adds a bit of sophistication both in the background theory and in the actual application. Weighted Shortest Job First is a numerical score where the larger the score, the sooner the job (feature, product backlog item) should be done. Scores therefore give a sequence to jobs. The score is based on the ratio between two estimates: the estimate of the “cost of delay” and the estimate of the “duration to complete”. The cost of delay is a more sophisticated version of business value in that it takes into account customer needs, time criticality and risk reduction or opportunity cost. In SAFe, the WSJF is calculated at the level of the team’s backlog on user stories through estimates of effort by the team and estimates of the cost of delay that are done by the product owner in collaboration with program management and business owners. The effort estimate is considered a reasonable proxy for the measure of duration, but there is explicit acknowledgement that this may not always be a reliable relationship. I have added a pdf download of this article about Agile Estimation with the Bucket System. It’s just a handy, nicely-formatted document that can be used for quick reference. It is now part of the materials I give out for my Certified ScrumMaster training classes. I’ve made a minor update to my article about Agile Estimation with the Planning Game to include a downloadable pdf of the article for easy printing. The downloadable version also includes a tiny bit of commentary that comes from my upcoming Agile Advice book. There are also two links added at the end of the article. One is the the wikipedia article about Planning Poker (which describes the method slightly differently), and the other is to an article I wrote a long time ago about the wideband delphi estimation method. The Product Owner has complete authority over the ordering of the Product Backlog. 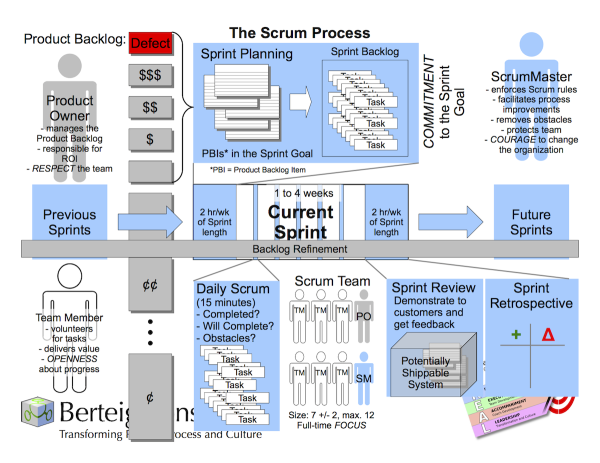 However, it is strongly recommended that the Product Owner put all known defects at the top of the Product Backlog so that the Team fixes them in the very next Sprint. By defects is meant features of functions of the system that have been built by the Team in previous Sprints where those features or functions do not behave according to the expectations of the Product Owner and where such mis-behavior is exposed to users of the system. There may be other quality problems with a system which are not categorized as defects (e.g. duplicated code). This prioritization of defects generally results in extremely high levels of quality in a system and a long-term reduction in costs for the system (total cost of the system) by making future features easier to add, and reducing effort spent on maintenance and support. Failing to put defects on the top of the Product Backlog generally leads to decreasing overall quality and in particular can severely damage the morale of a Scrum Team thus preventing them from getting into a high-performance state. 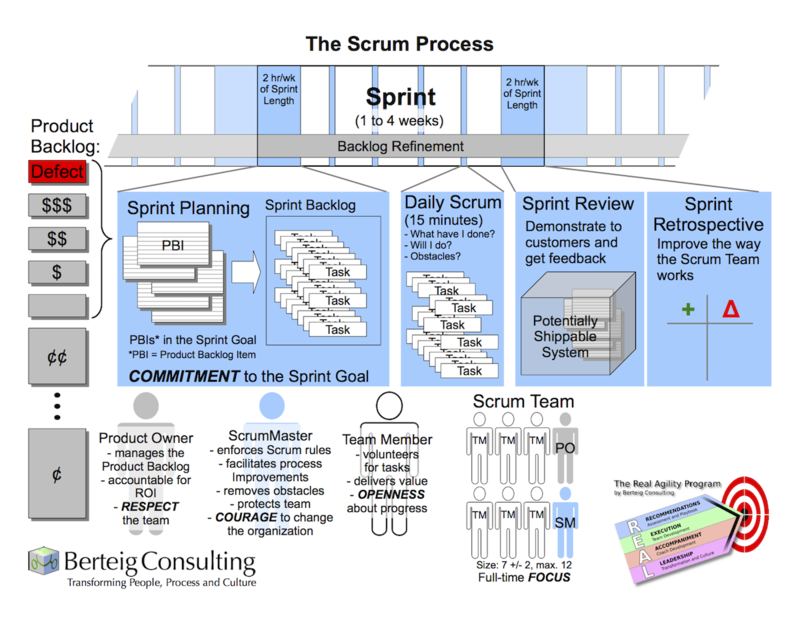 To learn more about Product Owners, visit the Scrum Team Assessment. 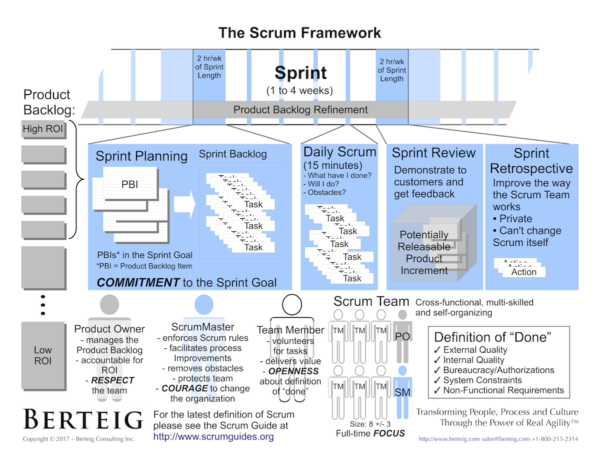 The Product Owner is involved with the other Team Members throughout the Sprint, but after the Sprint Planning meeting is completed, the Product Owner cannot add to the scope of the work being done during the Sprint. New Product Backlog Items, no matter how high their priority, must be put onto the Product Backlog for the team to look at in the next Sprint. This restriction is meant to allow the team to truly be focused and committed to the work of the Sprint and to allow them to make commitments and learn to keep them, thereby building trust. The Product Owner can, of course, collaborate on the details of the PBIs the team has chosen for the Sprint. If the Product Owner does indeed force a team to take on extra work during the Sprint, it breaks the focus of the team and can lead to the team’s failure to complete the work they planned. The Product Owner controls the order of the items in the Product Backlog, but not how many are done each Sprint. Instead, the team decides how many to do. This decision is made in Sprint Planning and, of course, should be made in collaboration with the Product Owner, but ultimately the Product Owner must let the team freely decide how many items are planned. This freedom allows the team to be truly motivated and committed to the work as well as being collectively accountable for getting that work done. If the Product Owner forces a team to take on more work than it feels is within its capacity, then that dis-empowers the team, moves accountability for getting work done to the Product Owner, and completely dis-ables the team from getting to a high-performance state. The Product Owner is responsible for maintaining the Product Backlog. This includes its ordering in terms of value and effort, its clarity, and identification of what acceptance criteria apply to each Product Backlog Item. 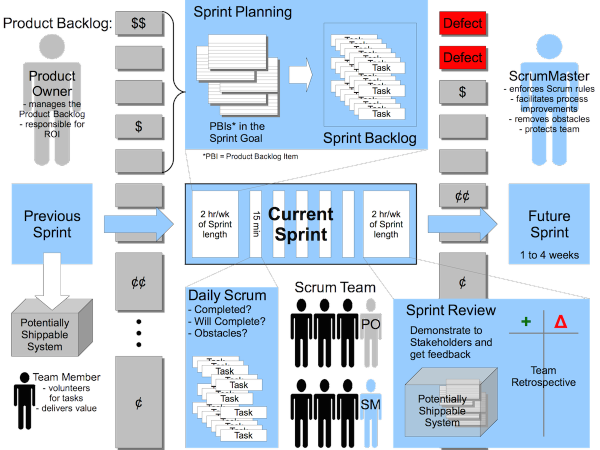 It is also very important for the Product Backlog to be ready for each Sprint Planning Meeting so that the team can select the Items for the current Sprint and break those down into tasks. 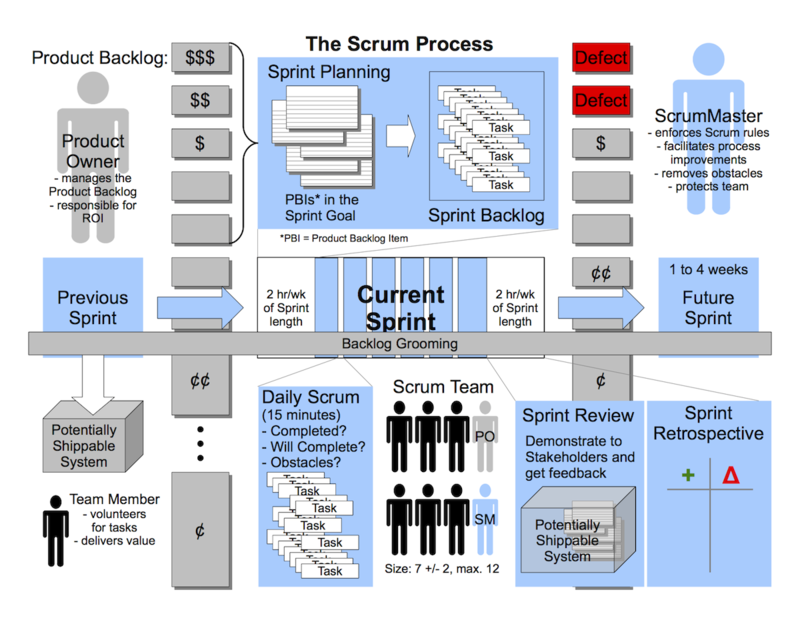 If this is done, the team is able to create an effective Sprint Backlog where it can volunteer for tasks and achieve quick wins each day. If not, the team will likely take on the work of refining the Product Backlog during the Sprint Planning Meeting which is wasteful and not focused. Having a ready Product Backlog helps the team focus during its meetings and ask relevant questions to the Product Owner. 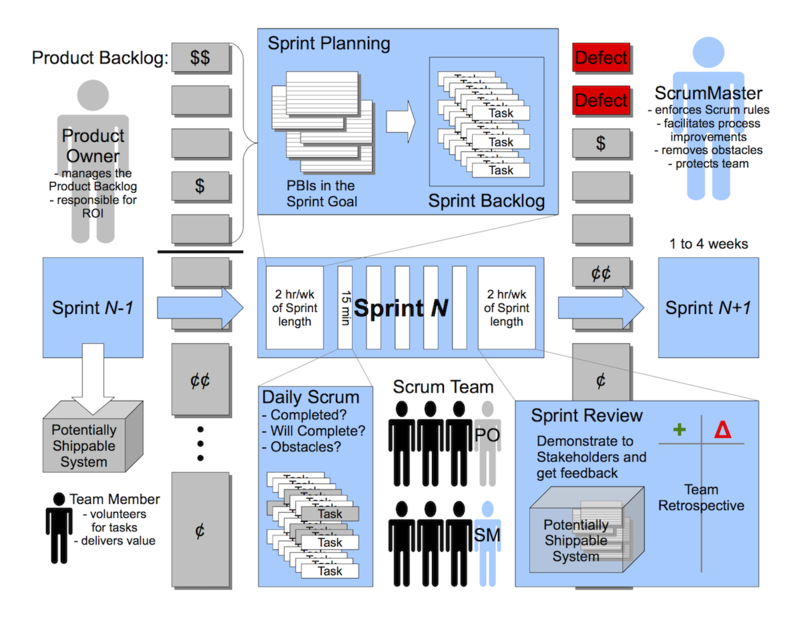 To learn more about Sprint Planning Meetings, visit the Scrum Team Assessment. 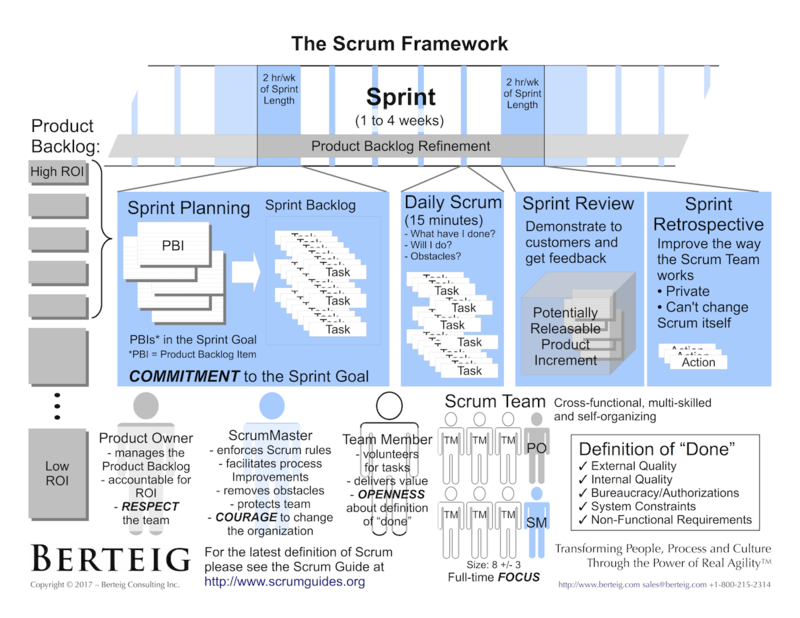 The Product Owner is responsible for ensuring that the Product Backlog Items reflect and contribute to the vision of the product being built by the Scrum Team. Therefore, the Product Owner needs the authority to reject any suggestions for features, functionality or fit and finish that do not move the product towards that vision. This authority must be based on both the depth of knowledge of the Product Owner as well as formal responsibility granted by the organization. A Product Owner that does not have this authority to veto may nevertheless be able to accomplish the same thing by putting any unwelcome ideas at the very end of the Product Backlog based on authority to order the Product Backlog. The lack of this authority to veto can lead to a product with no integrity of vision, an erosion of the Product Owner’s authority to order the Product Backlog, and ultimately an erosion of the critical separation of powers between the Product Owner and the rest of the Scrum Team (the Product Owner with authority over “what to build” and the rest of the team with authority over “how to build it”). What’s in your Agile Transformation Backlog? While I think that Band-Aid off quick is more likely to be successful than Band-Aid off slow, often Agile Coaches & Leaders are put in the position of Kaizen instead of Kaikaku. 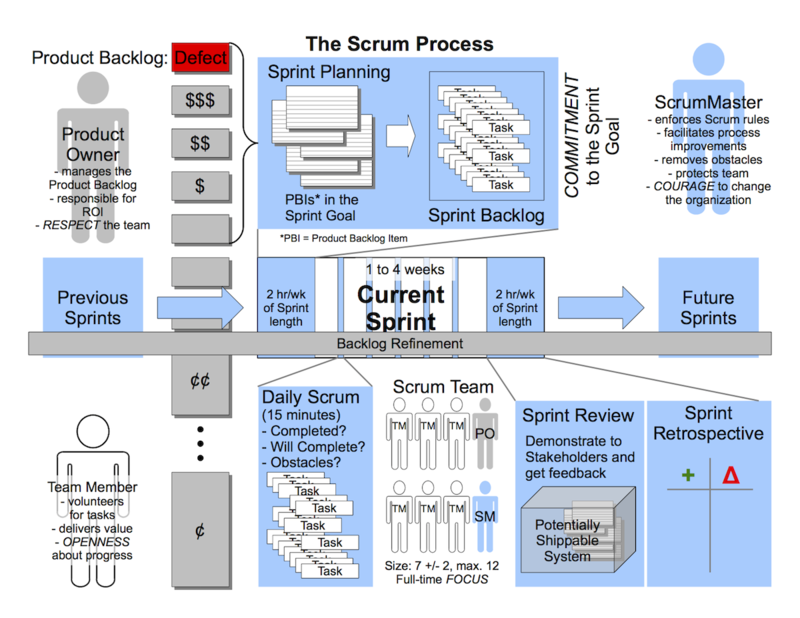 When asked for a detailed waterfall plan and schedule on how to become Agile… I generally refuse and create an Agile Transformation Backlog – a prioritized list of things that need to be done to become Agile. 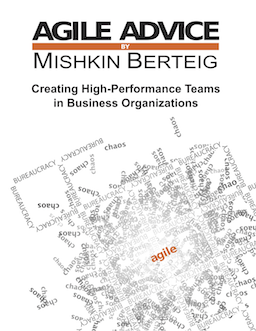 Please share your prioritized list of things that need to be done to be Agile.